The University of Virginia Investment Management Co. (UVIMCO) has named Robert Durden as its new chief executive officer and chief investment officer. Durden will manage the university’s $9.2 billion endowment, as well as other long-term funds invested on behalf of the university and its foundations. 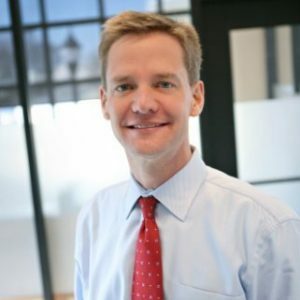 Durden, 44, will join UVIMCO in April, and will replace Lawrence Kochard, who left UVIMCO at the end of 2017 for a position in the private sector. Prior to joining Texas Children’s Hospital in 2013, Durden was managing director and head of private assets for Morgan Creek Capital Management, where he led a team managing approximately $5 billion worth of private commitments. Durden earned his MBA from the University of Chicago Booth School of Business, and his AB from Princeton University. “We undertook a robust search process that produced new leadership for UVIMCO to complement a deep team of professionals already in place,” said David MacFarlane, chairman of the UVIMCO board. Currently, Kristina Alimard is the interim CEO, and E. Sargent McGowan is the endowment’s interim CIO. When Durden joins the company, Alimard and McGowan will retain their respective roles as chief operating officer and managing director of UVIMCO.